About a month and a half ago, I published a review of the latest line of products from Draper’s BBQ — Moo’d Enhancer. The product has been a stellar success, garnering more and more widespread use throughout the competition circuit. 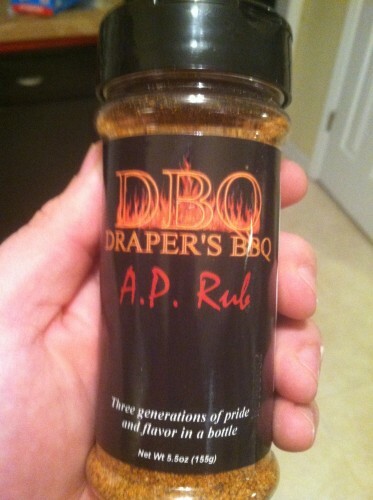 Today I want to focus on one of the original products from Draper’s BBQ — A.P. Rub. Ingredients in the rub: sea salt, turbinado sugar, spices (including paprika), dehydrated onion and garlic, less than 1% tricalcium phosphate (to prevent caking). Sea salt and turbinado sugar are two of my favorite ingredients in a rub. So when I see the two together, I know this has the potential of being a quality product. Sure enough, I’m not disappointed in the taste! Appearance: uniform texture and granule size in the rub, overall “BBQ orange” color, with bits of black from pepper sprinkled in. Aroma: nice blend of salty and peppery. A Taste: salty, sweet, and peppery working in harmony. When I first reviewed this rub, I reviewed it at the same time that I reviewed Draper’s Smokin’ Sauce (Brian’s review of the sauce can be found here). However, the products were made to work together, so my first use of the A.P. 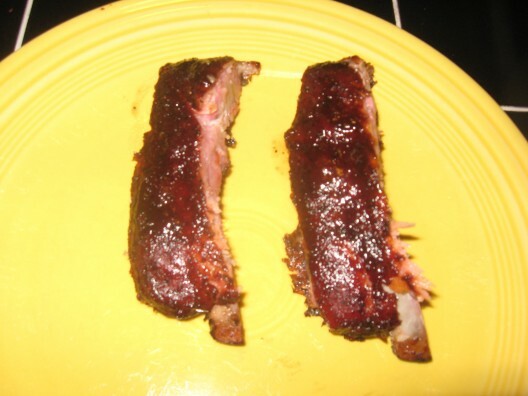 Rub was on ribs in conjunction with the Smokin’ Sauce. Since first reviewing this rub, it has become my go-to rub and all-purpose seasoning for most everything I cook. 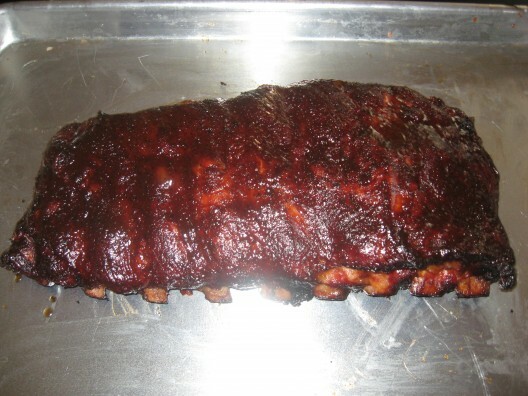 Even when reviewing various sauces on Big Wayner’s BBQ Blog, it’s my base seasoning and rub to use. Chicken, pork chops, popcorn… works well on just about everything!